April 1936. 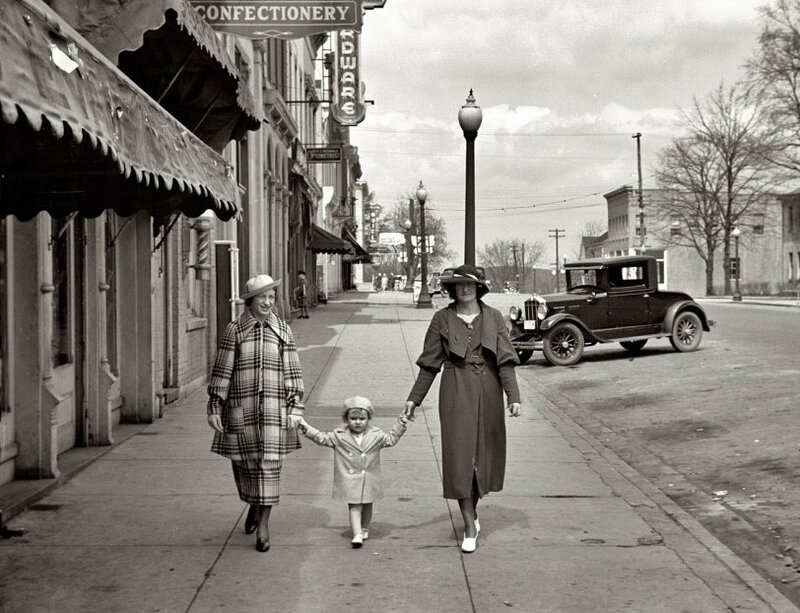 Three ladies out and about in Jackson, Ohio. View full size. 35mm nitrate negative by Theodor Jung for the Farm Security Administration. Submitted by Zcarstvnz on Fri, 05/25/2012 - 6:09pm. The car parked behind them is a 1929 Durant - probably a six cylinder based on the body length. The grill is very similar to that used on the air-cooled Franklin autos from March 1925 through 1929. The primary difference was a bar across the top that the Franklin did not have. The identifying feature for 1929 Durant's was the two groups of hood louvers. 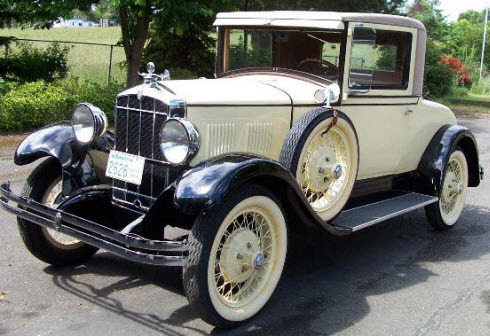 The 1928 Durant's had one large group of hood louvers. Billy Durant made the Durant automobile from 1921 - 1926 and then again from 1928 - 1932. The photo below shows a similar Durant from 1929. Submitted by Mr Mel again on Tue, 12/25/2007 - 7:49am. The boy in the photo is too well dressed to be a working newsboy. He appears to be wearing his best for Easter or a Sunday. Probably picked up the paper at a store or newsstand and is bringing it home. Submitted by Charlene on Mon, 12/24/2007 - 8:48pm. makes Easter (and Sunday) unlikely. Maybe it was a slow day. Submitted by JimsShip on Fri, 12/21/2007 - 10:12pm. The outfit on the woman on the left makes my eyes hurt. I can only imagine what that would look like in living color. You couldn't get away with wearing something like that these days unless you had a red rubber nose and a unicycle close by! Submitted by Anonymous Tipster on Thu, 12/20/2007 - 8:35pm. Submitted by Denny on Thu, 12/20/2007 - 2:39pm. Submitted by Mr Mel on Thu, 12/20/2007 - 10:33am. Pretty good bet, it's Sunday.